Thank you for visiting my blog! 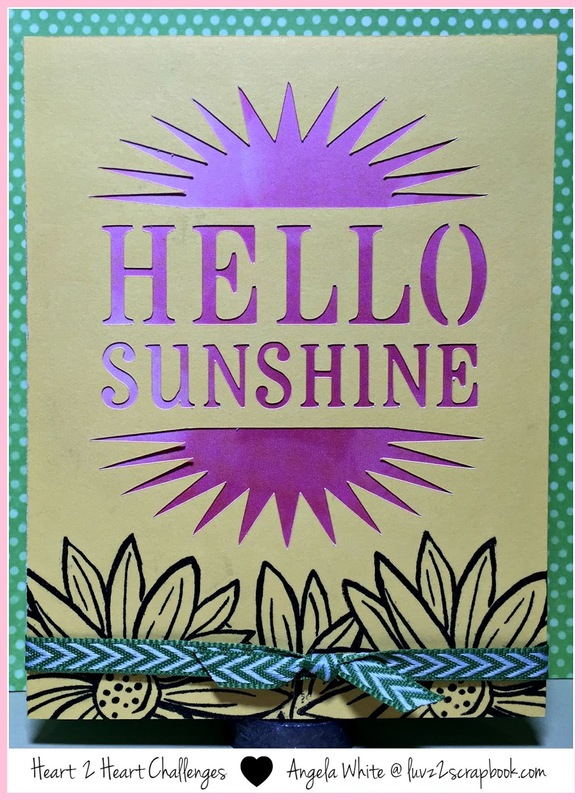 This weeks' Heart2Heart Challenges theme is "Good Day, Sunshine". I managed to get some time in the pool this weekend and got a little color, summer sure is hot this year! 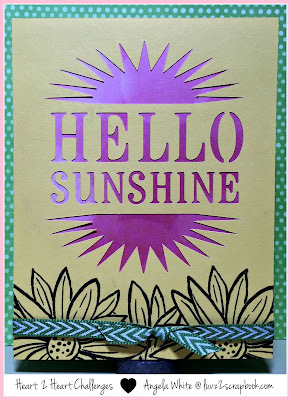 For this weeks' challenge I created this fun card using the Close To My Heart Artfully Sent Cricut Cartridge, the Brushed Patterned Paper and Canary Cardstock. I also added some Topiary Mini Chevron Riibon along with the sunflower stamp from the "A Budding Friendship" stamp set. The stamp set is retiring on 9/1 so don't forget to order yours soon. The background paper is the pink bokeh patterned paper from the Brushed paper packet also retiring at the end of the month. I used the masking technique to stamp the flowers in the front of the card. Masking allows you to stamp images without showing the overlaps. 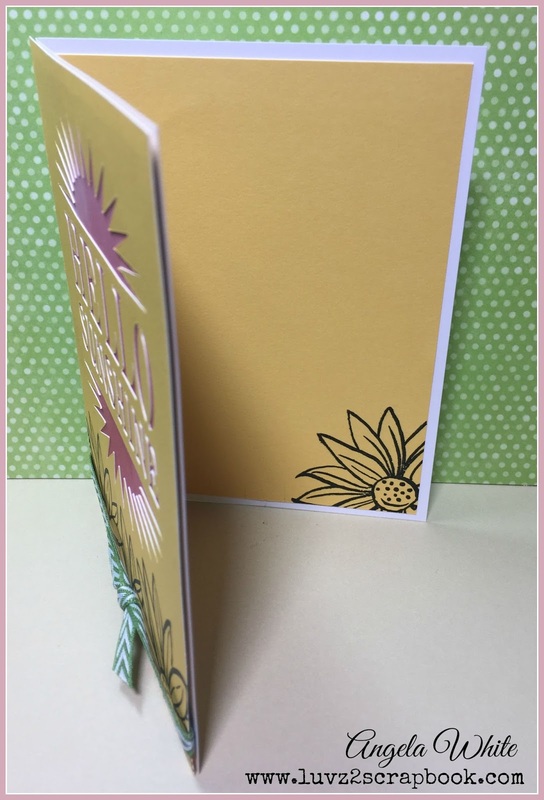 I also added some Canary cardstock on the inside of the card with a stamp corner of the same sunflower image. I love the pops of contrast that the beautiful big flower stamp adds- gorgeous!